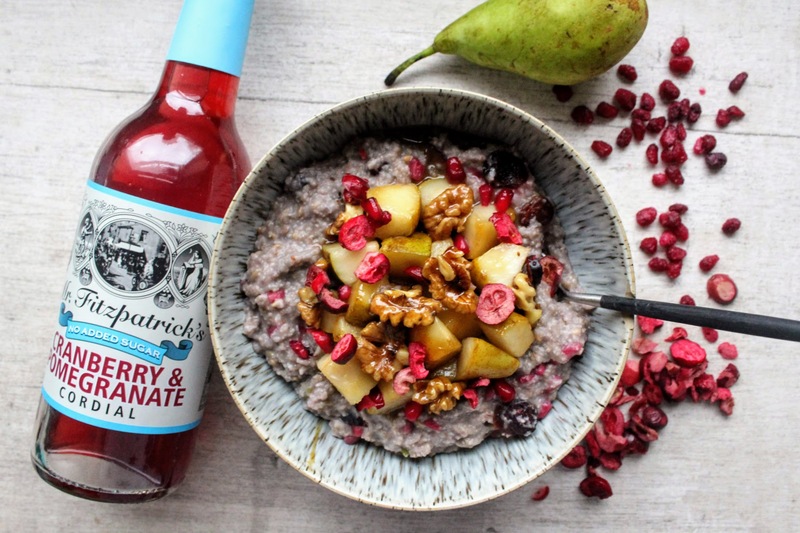 I love coming across interesting brands so when I was approached to work with drinks brand, Mr Fitzpatrick’s Vintage Cordials, I was keen to hear more. Mr Fitzpatrick’s premium range of vintage cordials are crafted with exceptional care and artisanship, with a unique and quirky range of signature variations to choose from. Founded by the Dublin based Fitzpatrick’s family of herbalists in 1899, the team are now based in the North of England and keen to share these drinks to a whole new generation of fans. 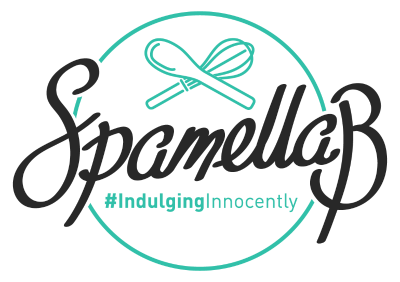 I love that they are suitable for vegans and vegetarians and the ethos of the brand is built on natural ingredients and botanical extracts, with every drink made by hand. For me, I love drinking interesting things but without the added sugars so I couldn’t wait to try these. Alongside a mixture of coffee and herbal teas, I enjoy diluting sugar-free squash with hot water and maybe adding a slice of lemon for a warming drink throughout autumn and winter so these are right up my street. 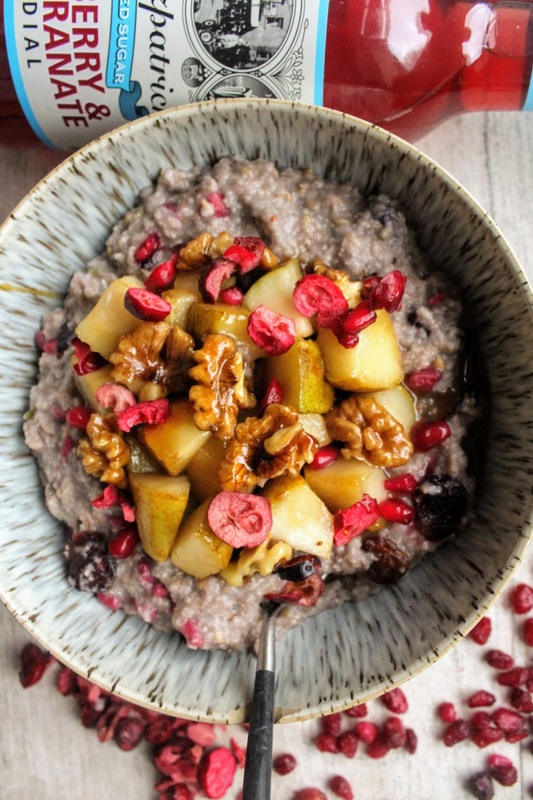 But when I was cooking up some porridge the other day I thought how nice it would be to add a little to add a burst of flavour and wow, did it make a nice little change! 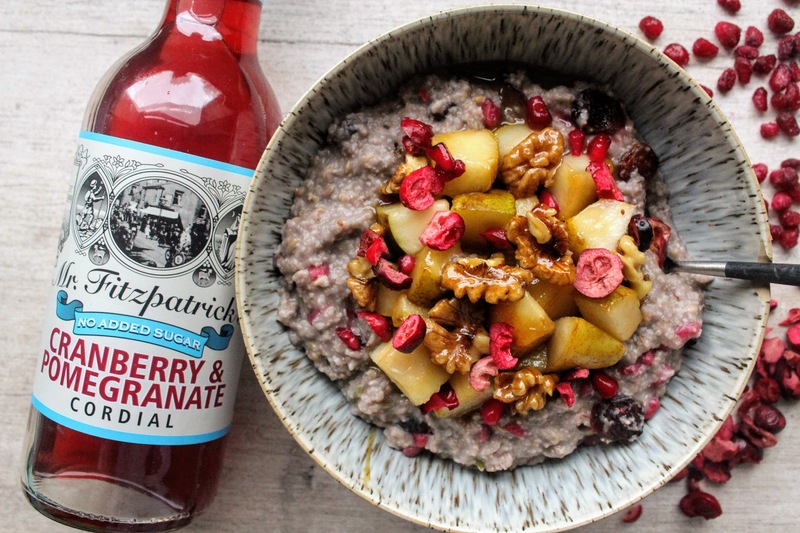 I went with the Cranberry & Pomegranate one as I had dried cranberries in the cupboard and pomegranate seeds available so paired with caramelised pears and walnuts, this really did add a special twist to breakfast! 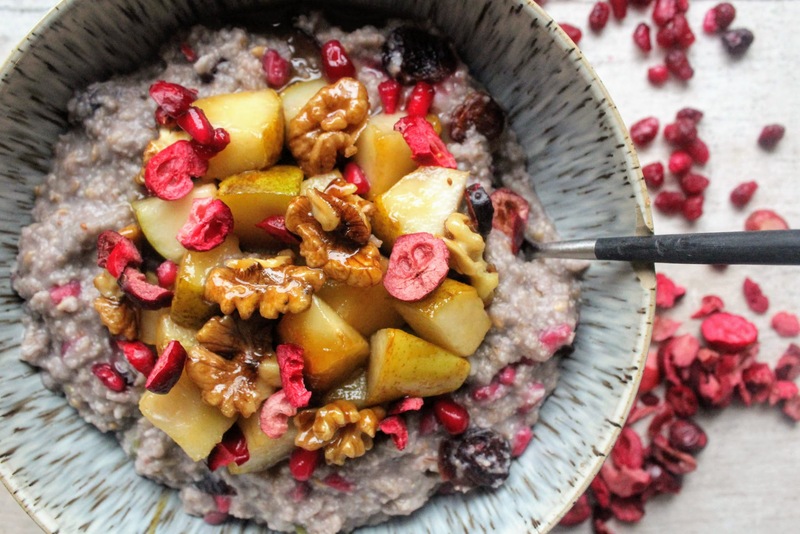 Make the oatmeal: Place the everything in a pan and simmer for 5 minutes until thick and creamy. Meanwhile heat the coconut oil and maple syrup in a pan then throw in the pear and walnuts and stir well. Continue cooking and stirring for 5 minutes on a medium to high heat to allow them to gently caramelise. 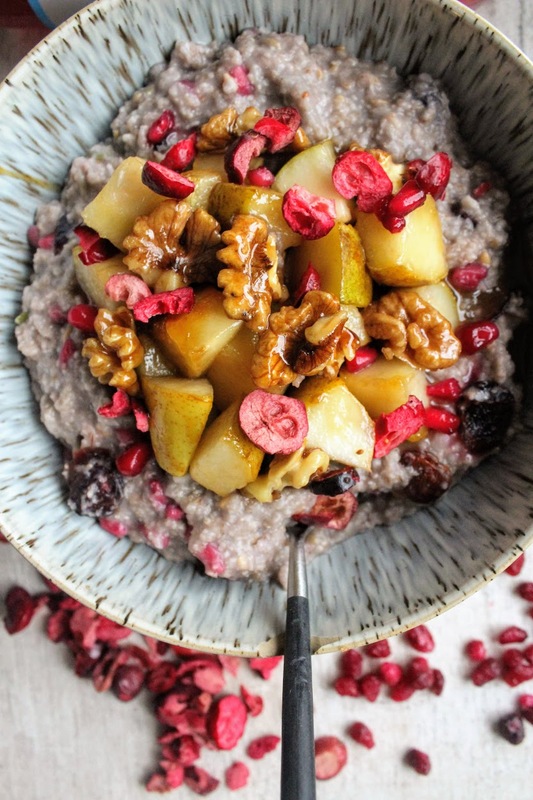 Serve your oatmeal in a generous bowl and top with the pear mixture including any extra syrup. Scatter over extra dried cranberries (I love Lio Licious freeze-dried ones) and pomegranate seeds and enjoy!